Hello new blog series! Ok, so seeing as my exams will soon be over and both my social life and free time will return, I thought why not do a new series for my blog. The idea is that every week I will be posting a new in piece which I am lusting for! 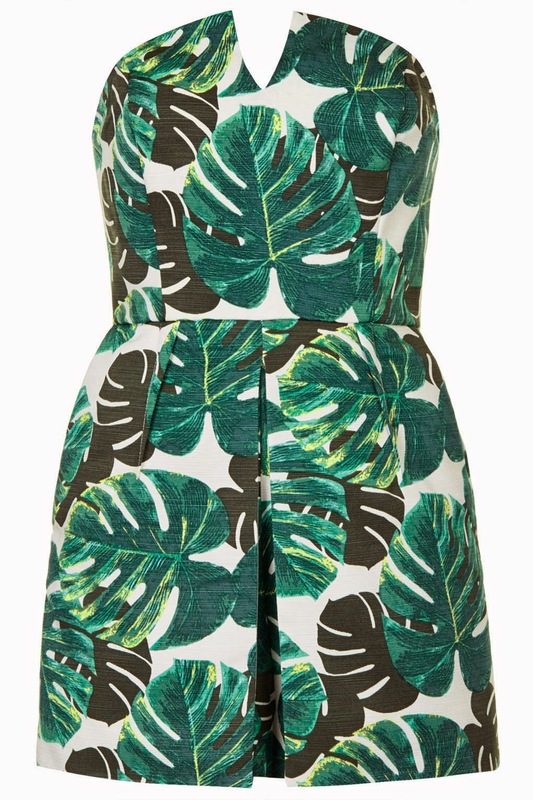 This week I am drooling over this Palm print Bandeau Skort Playsuit. I love the shape of this, especially the neckline! Wack on some wedges and some big sunnies and it’s the perfect summer party outfit!